La Porte County is a county located in the state of Indiana. 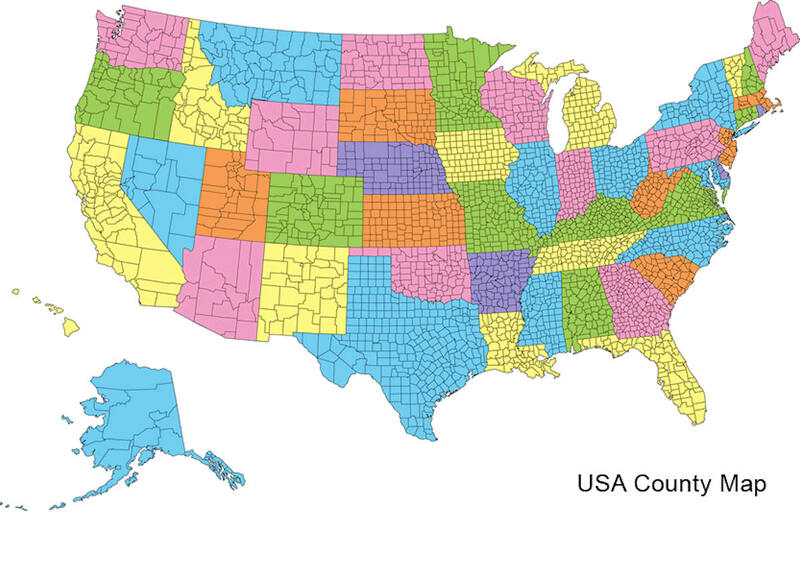 As of 2010, the population was 111,467. La Porte County was created on January 9,1832. The county seat is the city of La Porte, and the largest city is Michigan City. The county name means the port in French, which refers to the county's harbors on Lake Michigan. This county is part of the Northwest Indiana and Michiana regions of the Chicago metropolitan area. 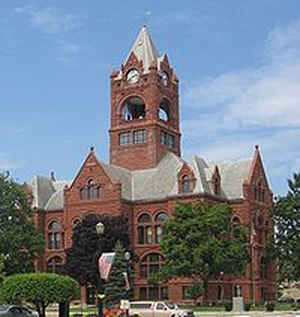 The La Porte County Courthouse is located in the county seat of La Porte and is listed on the National Register of Historic Places. The county is named from the French term meaning "The Door" this county's name reflects her natural access to the Great Lakes. La Porte County was established by an act of the Legislature on the 9th of January 1832 and formally organized April 1, that year. La Porte means "the door" in French. French travelers or explorers so-named the area after discovering a natural opening in the dense forests that used to exist in this region, providing a gateway to lands further west. Before white settlement, all of the land that forms modern-day La Porte County, and adjacent Starke County to the south belonged to the Potawatami Indian nation. These Indians were forcibly removed to Kansas by the United States government in 1838, and many died on what survivors called the Trail of Death. La Porte is divided into 21 Civil Townships as follows: Cass, Center, Clinton, Cool Spring, Dewey, Galena, Hanna, Hudson, Johnson, Kankakee, Lincoln, Michigan, New Durham, Noble, Pleasant, Prairie, Scipio, Springfield, Union, Washington and Wills. Washington Township was once part of Union Township while Prairie Township was part of Hanna Township. The county has a total area of 613 square miles (1,588 km2), of which 598 square miles (1,549 km2) is land and 15 square miles (38 km2) (2.41%) is water. La Porte county is located in north Indiana. 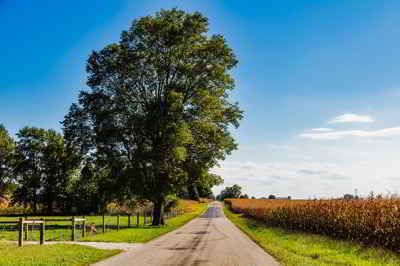 Ambler Flatwoods and Moraine Nature Preserve are located in this county.